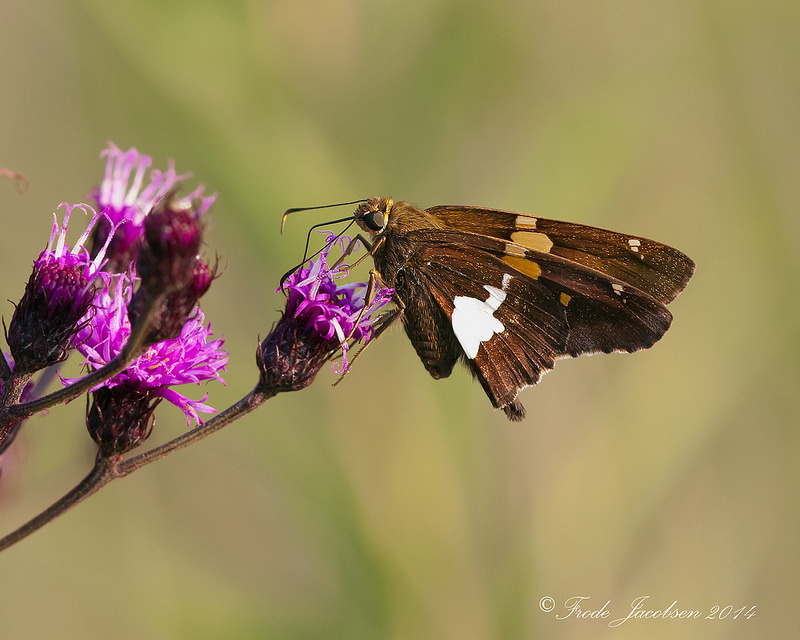 Silver-spotted Skipper Epargyreus clarus (Cramer, 1775) Synonyms: Hodges #3870. 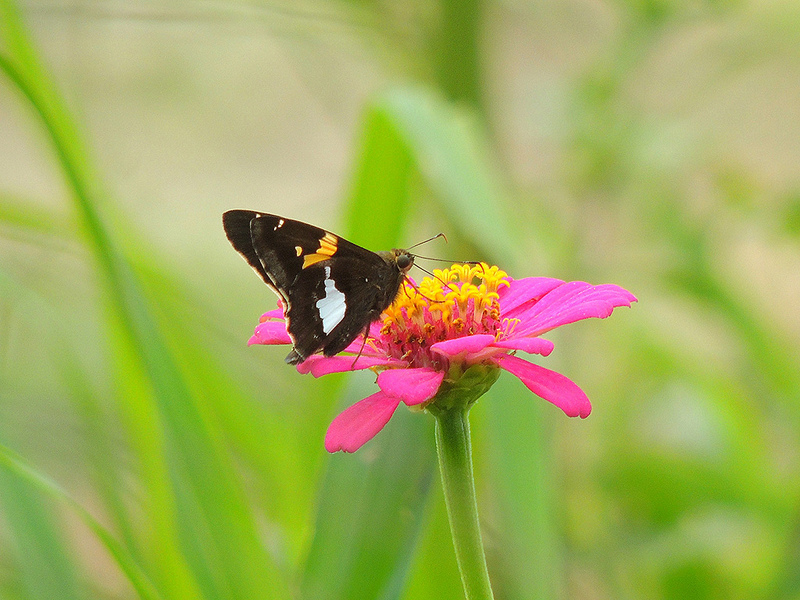 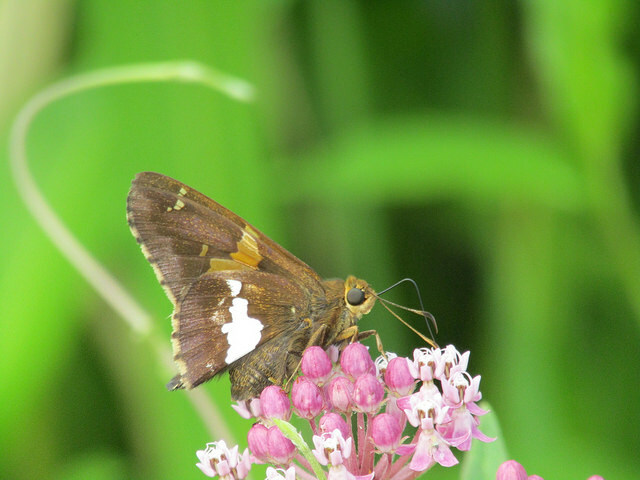 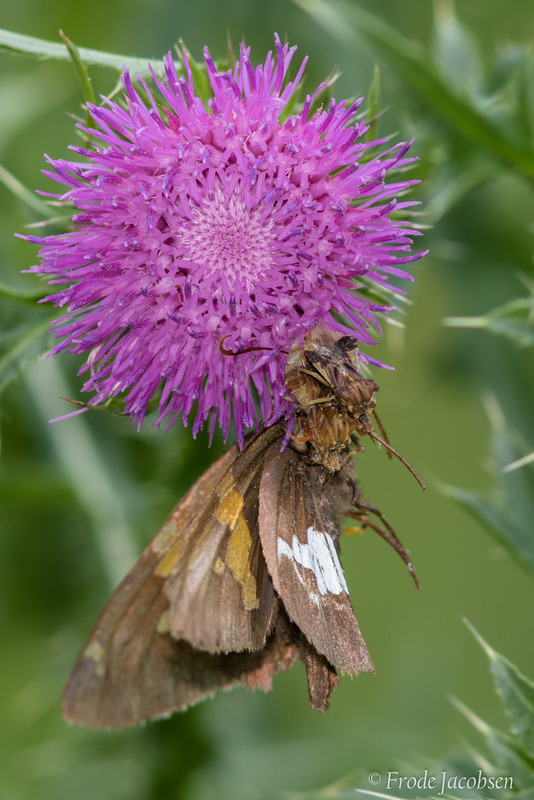 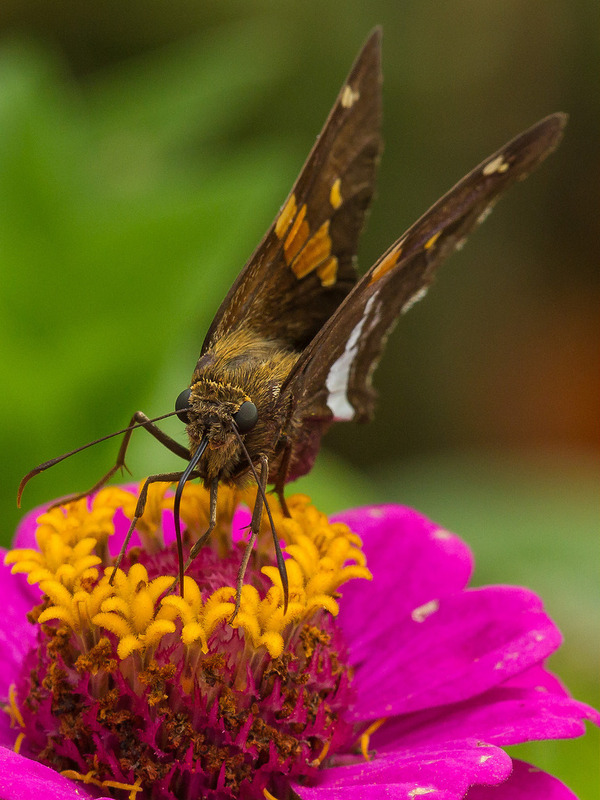 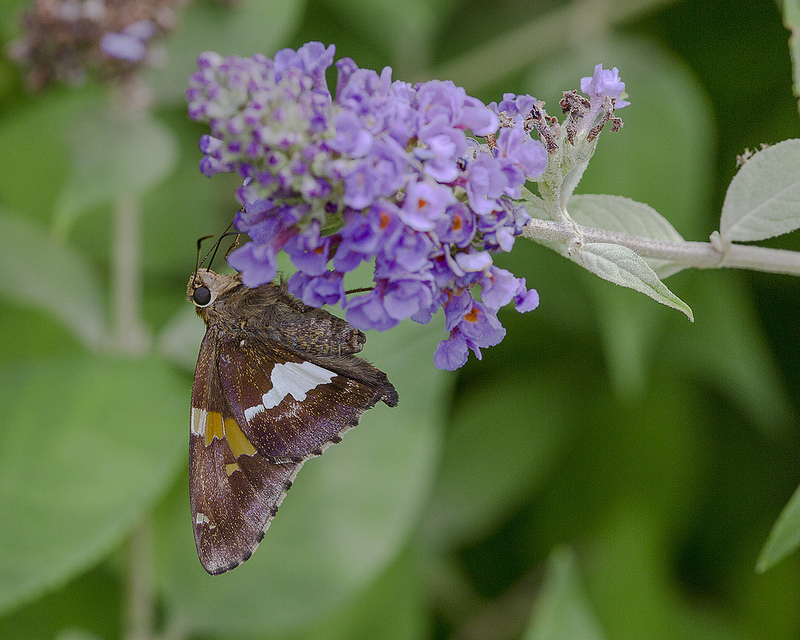 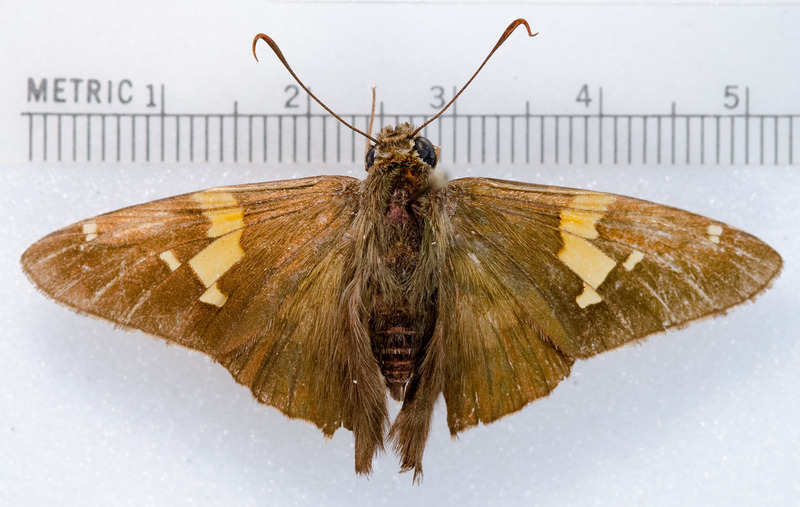 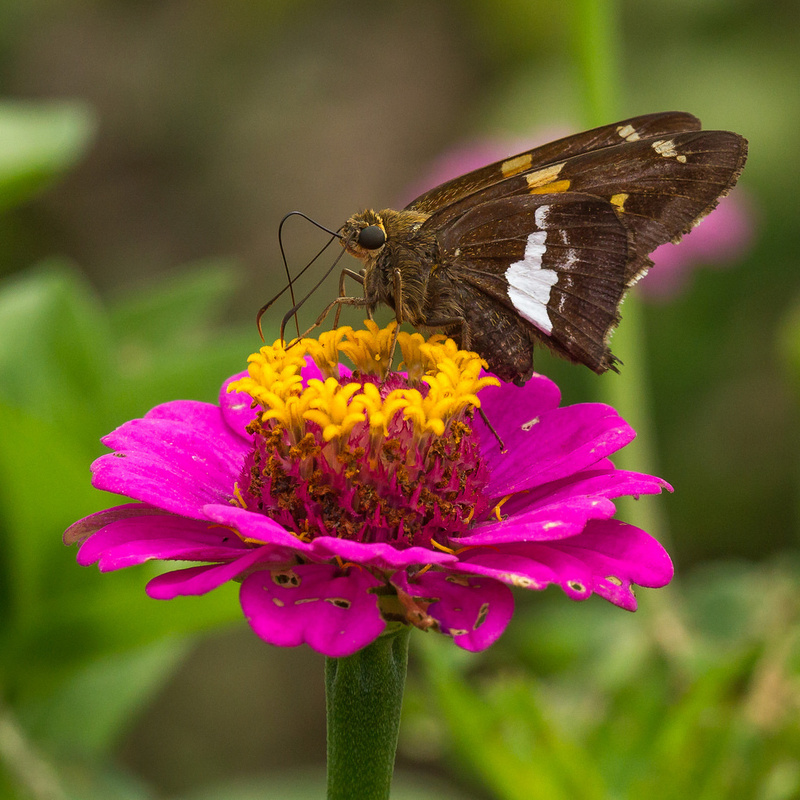 The Silver-spotted Skipper (Epargyreus clarus) is a common butterfly of the warmer months. 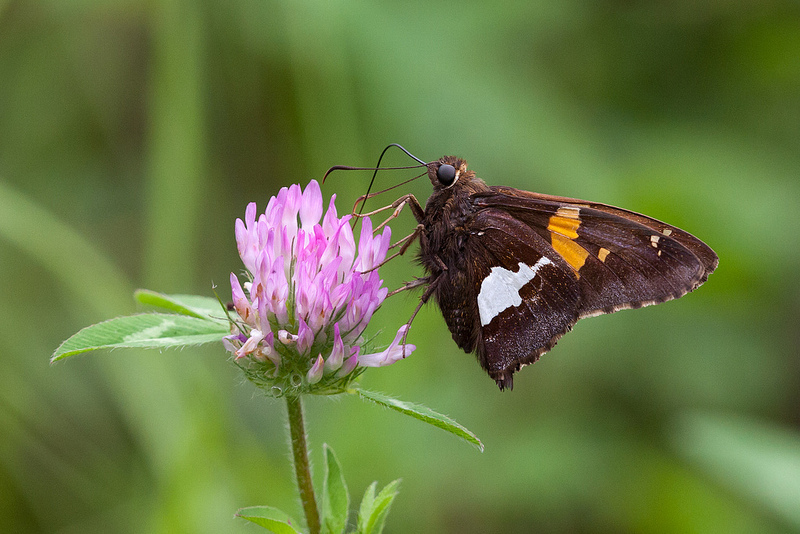 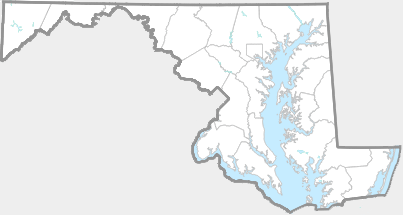 They can be observed flying in all Maryland counties, where they can be seen in fields, open woods, and even yards. 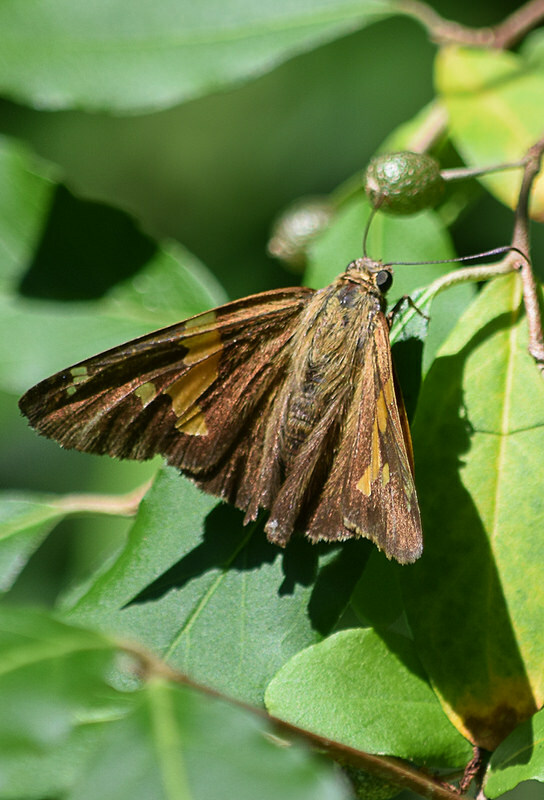 This large and showy skipper often perches on branches or plant stalks, and sallies forth to challenge rivals or court mates. 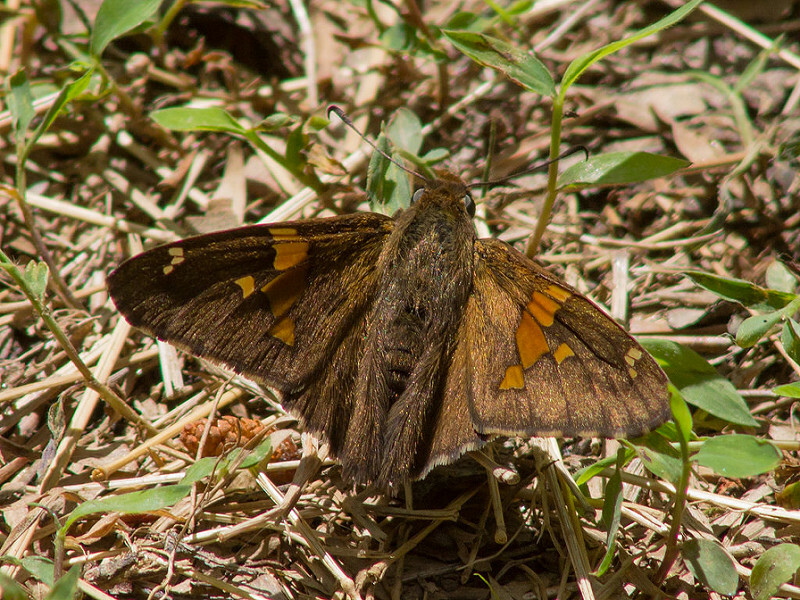 The large silvery patch on the hind wing is unique, and makes this butterfly all but unmistakable. 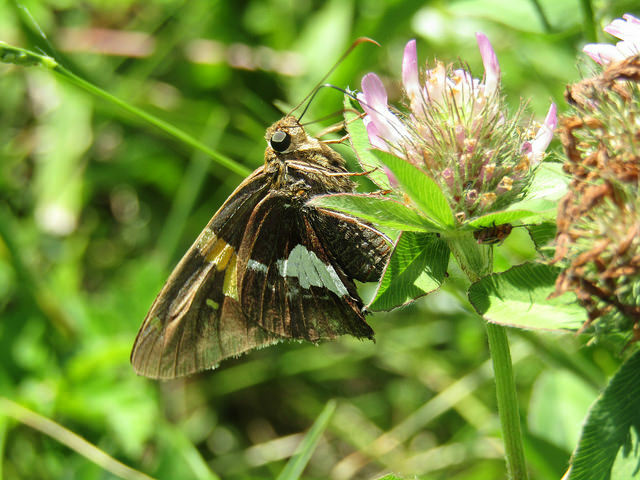 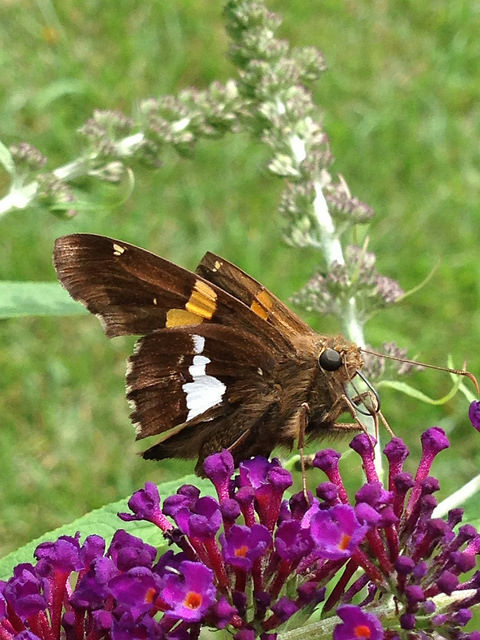 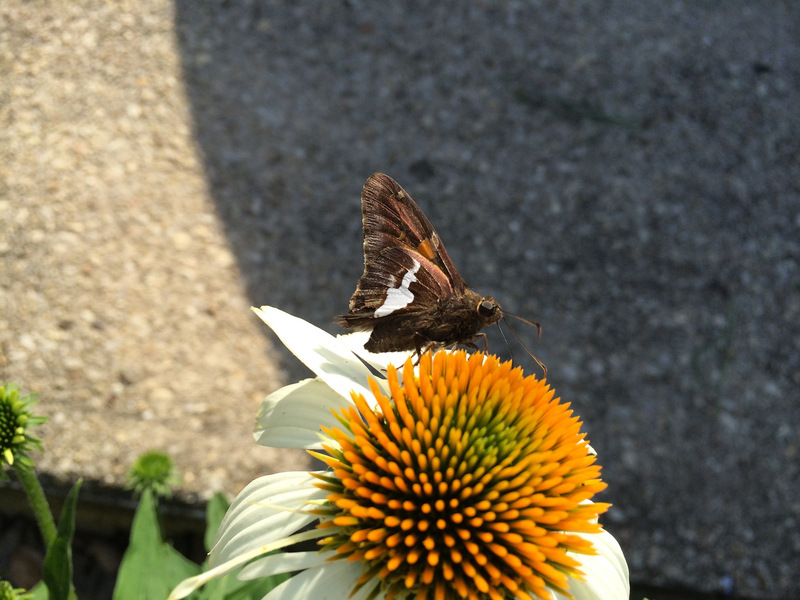 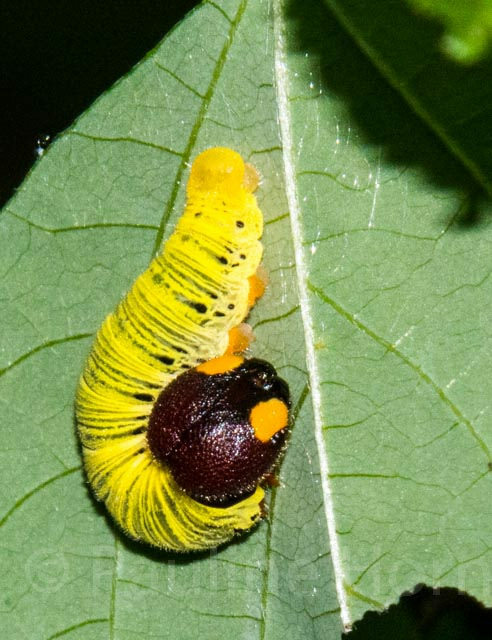 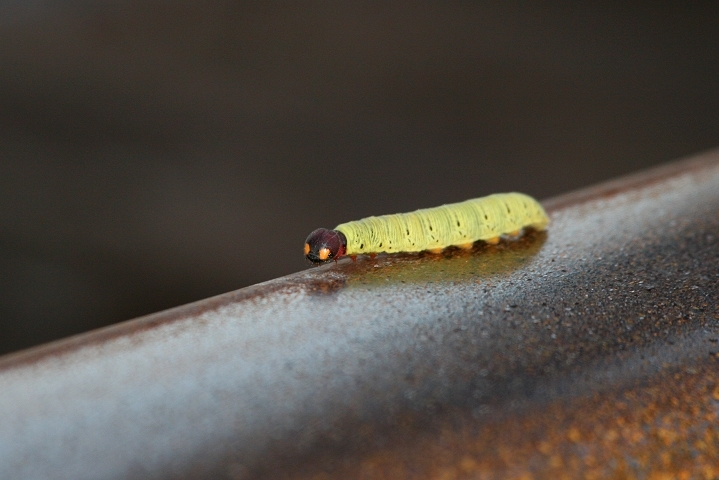 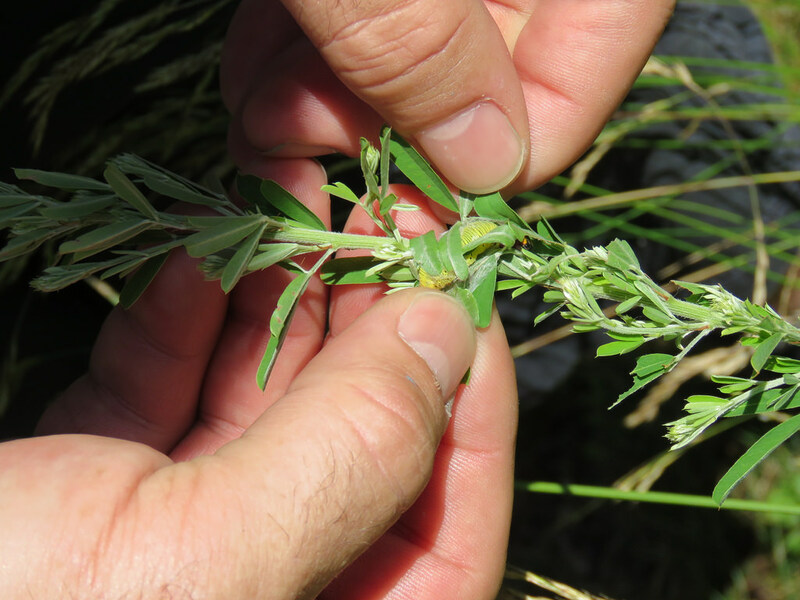 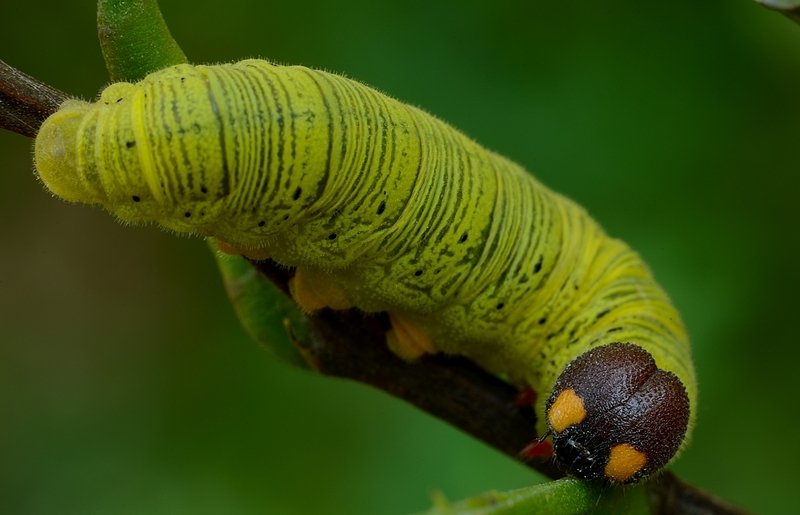 In Harford County Josh Emm has verified caterpillars of Silver-spotted Skippers feeding on cultivated Soybeans. 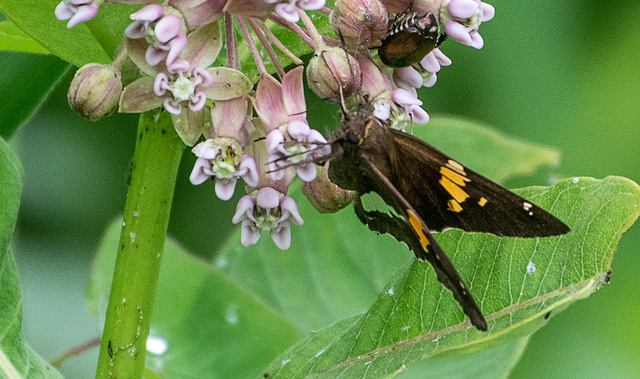 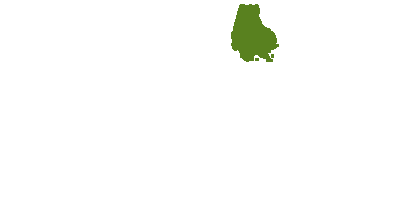 Other host plants include Black Locust, American Hog Peanut, Kudzu, and various Desmodiums (Cech and Tudor, 2005). 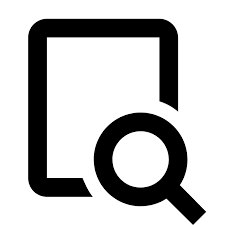 There are 950 records in the project database.